WordTheatre, the short story performance specialists, casts the perfect actors to bring great contemporary writing to life. 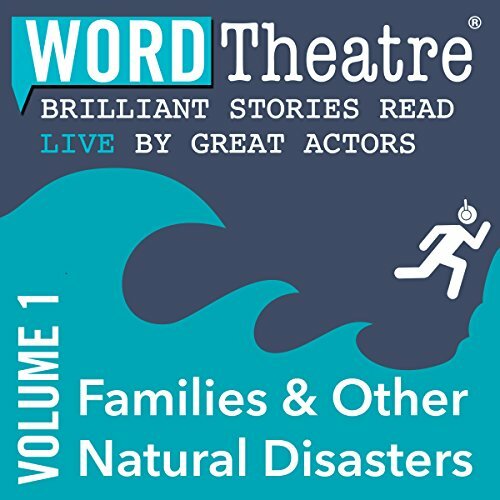 Recorded live with many of the authors present, these nine exquisitely crafted stories explore the one topic that everyone knows something about: families. Whether through birth, adoption, or marriage, whatever the relationships, they provide rich fodder for our talented authors - at times amusing, at others, achingly painful. Produced and directed by Cedering Fox; edited by Sara Bencivenga; mixed and mastered by Theo Mondle; music composed by Greg Chun. WordTheatre gives voice to great writing. We are an innovative, internationally recognized, 501(c)(3) nonprofit organization dedicated to inspiring empathy, curiosity and conversation through powerful and entertaining performances, both live and recorded, of the world’s best contemporary literature. We aim to ignite a passion for reading, writing and self-expression in our community and in future generations. I have been a fan of short stories for a while. the performances in this collection made it a pleasing experience. 0 sur 2 personne(s) ont trouvé cet avis utile.